Discover our new selection of great images of science in OpenMind. Did you visit the first one? Although Frenchman Louis Daguerre is often credited with the invention of photography in 1839, the fact is that others before him had already tried to combine the principle of the camera obscura with the use of light-sensitive substances. A decade before the official birth of photography, Daguerre had entered into a partnership with Nicéphore Niépce, an inventor who had spent years experimenting. 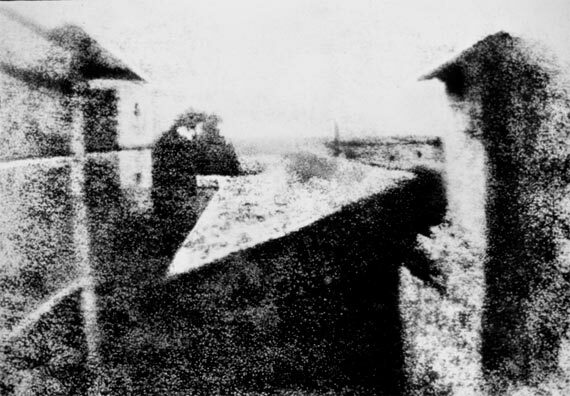 In 1824, Niépce managed to obtain the first picture with a camera, using a stone plate coated with bitumen of Judea, which hardens on exposure to light. This work was lost, but Niépce repeated the same exposure in 1826 or 1827 using a metal plate of pewter as the base. The image, titled View from the Window at Le Gras, was taken from his property in Saint-Loup-de-Varennes. It was not exactly an instant photo as it required several days of exposure. Today it is housed at the University of Texas. The Apollo 8 mission, the second manned NASA program, was the first to go beyond Earth’s orbit, fly around the Moon and return safely. The three astronauts, Frank Borman, James Lovell and William Anders were the first humans to observe the whole Earth from space. 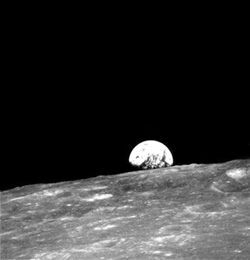 When the module entered lunar orbit on Christmas Eve 1968, the crew was suddenly surprised by the appearance of the Earth rising over the horizon. Borman took a first photograph in black and white, but it was this colour image by Anders, taken with a Hasselblad camera on 70mm Kodak Ektachrome film, which became one of the icons of space exploration. 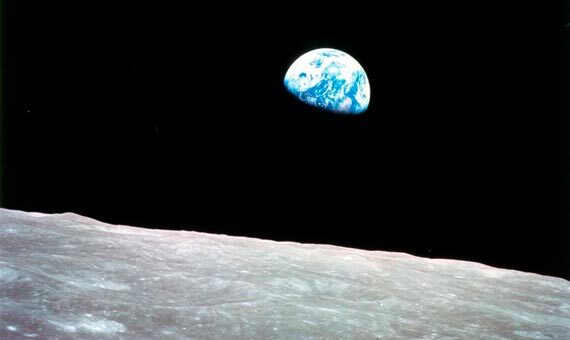 In 2013, to mark the 45th anniversary of Apollo 8, NASA produced a video that simulates the panorama gazed at by the three astronauts. The general theory of relativity, which celebrates its 100th anniversary in 2015, had hardly spread outside the scientific community at the time of its publication. Einstein, though by then widely recognized by the physics community, remained relatively anonymous to the general public until November 7, 1919. 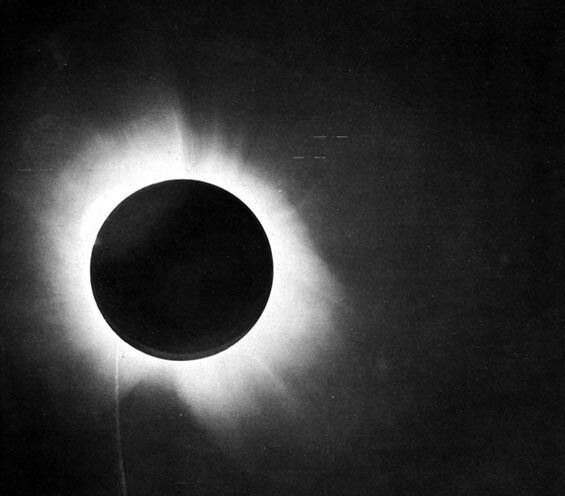 On that day, The Times newspaper reported that on the previous May 29, three British astronomers had photographed a solar eclipse that demonstrated how starlight was bent by the effect of solar gravity, thereby proving Einstein’s theory. The day before the publication, on November 6, the results were officially presented at a major scientific meeting. The London newspaper proclaimed that it was a “revolution in science.” According to Einstein’s biography written by Jürgen Neffer in 2005, that was the day on which the German physicist rocketed to fame that would never leave him. Perhaps not since Einstein did physics attract as much attention in the media as occurred with the discovery of the Higgs boson at the Large Hadron Collider (LHC) at the European Organization for Nuclear Research (CERN) in Geneva (Switzerland). On July 4, 2012, when CERN announced that two LHC experiments, ATLAS and CMS, had detected particles consistent with the predicted properties for the Higgs, it was front-page news across Europe. 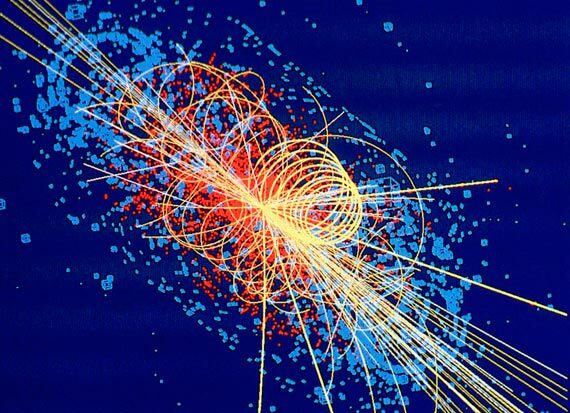 The largest and most expensive machine in history had accomplished its primary function, finding the particle theorized by Peter Higgs in 1964, whose field gives mass to all the other particles according to the Standard Model of physics. The image shows a simulation of the decay of the boson in a collision between two protons. The lines show the possible trajectories of the particles generated, while the blue areas represent the energy released in the collision. 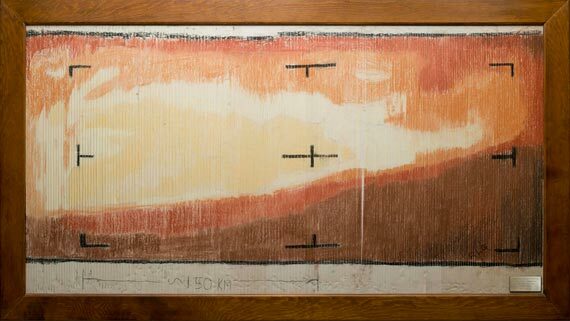 After several failures by the United States and the Soviet Union, NASA’s Mariner 4 was the first spacecraft to successfully fly over Mars. Mariner 4 was launched on November 28, 1964, and the approach to Mars took place on July 14 and 15 of the following year. Its equipment included a television camera that converted the analog signal to digital. The data were collected on a magnetic tape recorder and sent to Earth by radio, where engineers received a strip of paper with printed numbers representing the color of each pixel. When the probe transmitted its first image, mission managers were not sure of the reliability of the recorder. Instead of waiting for the computer to process the data, they cut and pasted the strips of tape and then hand-colored them following a colour code, as in children’s drawings. The result showed that the camera was working properly. In 1911, the Belgian chemist and businessman Ernest Solvay held a conference in Brussels to which he invited the most prominent physicists of the time. The success of that meeting inspired him to found, the following year, the International Solvay Institutes for Physics and Chemistry, which since then organizes the Solvay Conferences, held once every three years. Undoubtedly the most famous of them all was the October 1927 event, attended by 29 scientists, 17 of whom were awarded a Nobel Prize, or two, in the case of Marie Curie, the only woman. Figures like Einstein, Schrödinger, Pauli, Heisenberg, Dirac, De Broglie, Born, Bohr, Planck and Lorentz, among others, met at the conference. 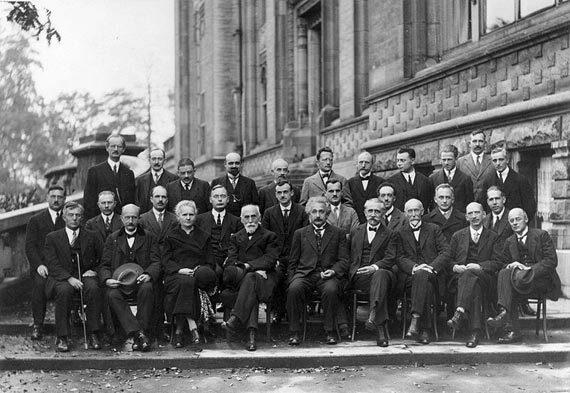 In addition to the high number of attendees, the 1927 conference was especially celebrated because the then-new quantum theory of the atom was discussed. The group portrait is attributed to photographer Benjamin Couprie. For centuries, dinosaur fossils fueled fantastic legends. In China, they were taken for dragons, while in Europe it was believed that they were the remains of ogres or giants. The first record of these creatures in scientific literature appeared in 1677 in The Natural History of Oxford-shire, written by the first professor of chemistry at the University of Oxford, Robert Plot. In his work, Plot included the illustration of a piece of petrified bone found in a limestone quarry. 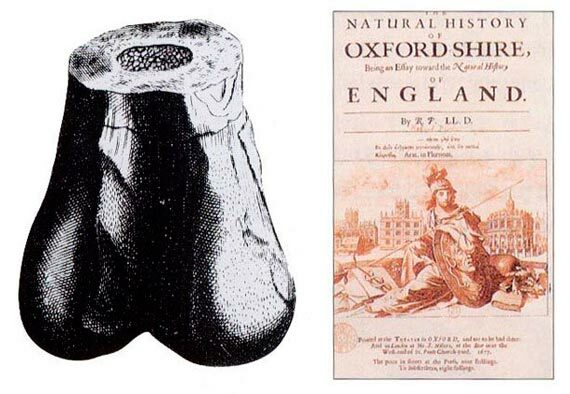 The chemist recognized it as the lower head of a femur, but given that in England no animal of that size existed, he attributed it to a war elephant used by the Romans, or even a giant human. In 1824, the bone was assigned to the genus Megalosaurus, described by the theologian and paleontologist William Buckland. The Megalosaurus was the first dinosaur published in a scientific journal, although the term “dinosaur” would not be coined until 1842. On his return to England in 1836, after a journey of almost five years aboard the HMS Beagle, Charles Darwin was already a renowned scientist. His works produced from observations gathered during the voyage had attracted the interest of the naturalists of the time, immersed as they were in the complex task of fitting the diversity of life onto a spatial and temporal model that made sense. Darwin started making notes to try to explain transmutation, as was then called the conversion of one species into another. 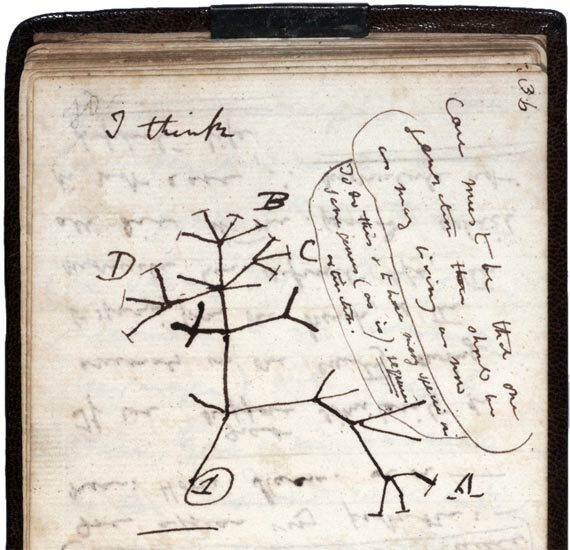 In July 1837 he wrote in his notebook “I think,” and then drew his first sketch of the “tree of life.” This view of the genealogy of a species as a branching tree was opposed by Frenchman Jean-Baptiste Lamarck, who imagined parallel independent lineages. Darwin developed his idea in his major work published in 1859, On the Origin of Species. The original notebook is preserved in the Cambridge University Library. 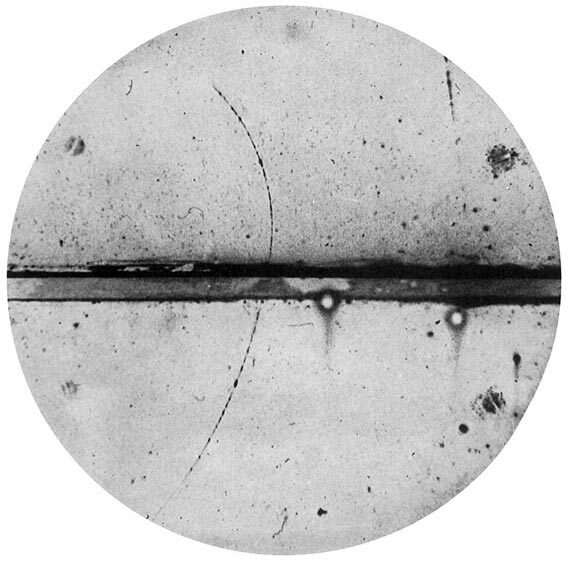 The idea of ​​an anti-electron, an electron with a positive charge, was proposed by Englishman Paul Dirac in 1928, opening the physics world to the new concept of antimatter. Its experimental demonstration would come four years later at the hands of a young physicist named Carl Anderson, who was looking for new particles in a cloud chamber. This instrument permitted the detection of the passage of radiation thanks to the fact that ionized particles in movement cause water vapor to condense, leaving a visible trace. When the chamber was subjected to a magnetic field, the path of the particles curved to one side or the other depending on the sign of their charge. Anderson was searching for cosmic ray particles when he observed an unusual trace: its mass was that of an electron, but it had the opposite curvature than expected, indicating a positive charge. When Anderson published his results, the editor of the journal Physical Review suggested the name “positron”. Anderson received a Nobel Prize in 1936. The era of nuclear weapons began on July 16, 1945 in a remote area of ​​the state of New Mexico. At 5:29 am on that morning, the first atomic bomb in history exploded, the inaugural test of the Manhattan Project. Its senior scientist, physicist Julius Robert Oppenheimer, gave the test the code-name Trinity, inspired by a poem by Englishman John Donne. The Trinity bomb, which produced an explosion of around 20 kilotons, was an explosive device with a plutonium core, virtually identical to the one that would be dropped on Nagasaki on August 9 of that year. The visual documentation of the explosion was the responsibility of photographer Berlyn Brixner, who placed some 50 cameras to capture up to 10,000 frames per second. 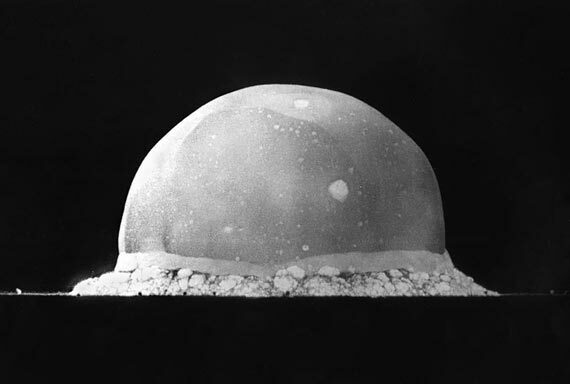 The displayed image was taken 16 milliseconds after detonation. At that moment the explosive bubble had reached a height of 200 metres, but the subsequent mushroom cloud rose to over 12 kilometres.